Saturday morning we left Prague at 7:45am for Berlin. I was starting to get sick of bus rides, especially after the last experience. When we arrived in Berlin, we took the S-bahn to our hostel where we dropped off our stuff. Then we went to lunch, and this is where I separated from the group. My favorite painting was at the Old National Gallery so I had to go see it. 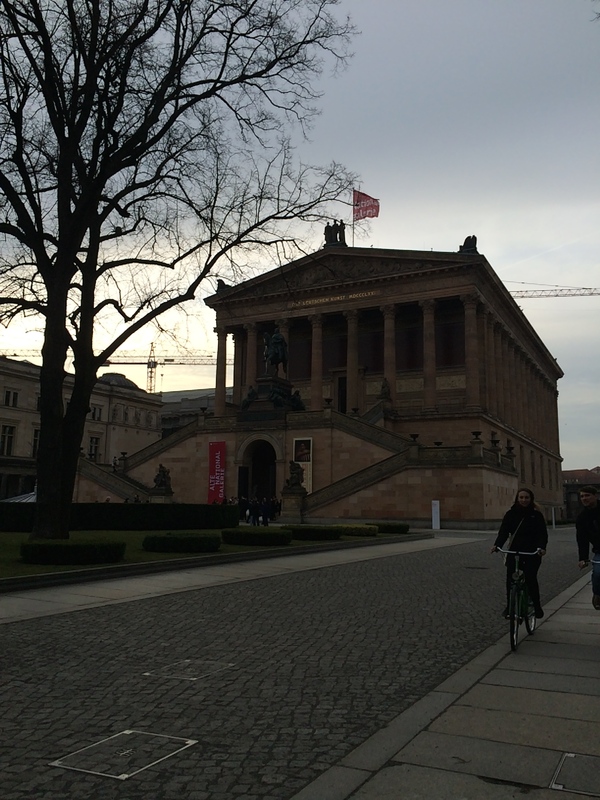 While they went to the East Side Gallery and a few other places, I went to the museum. Figuring out the public transportation was brutal, but eventually I got there. I was so excited. 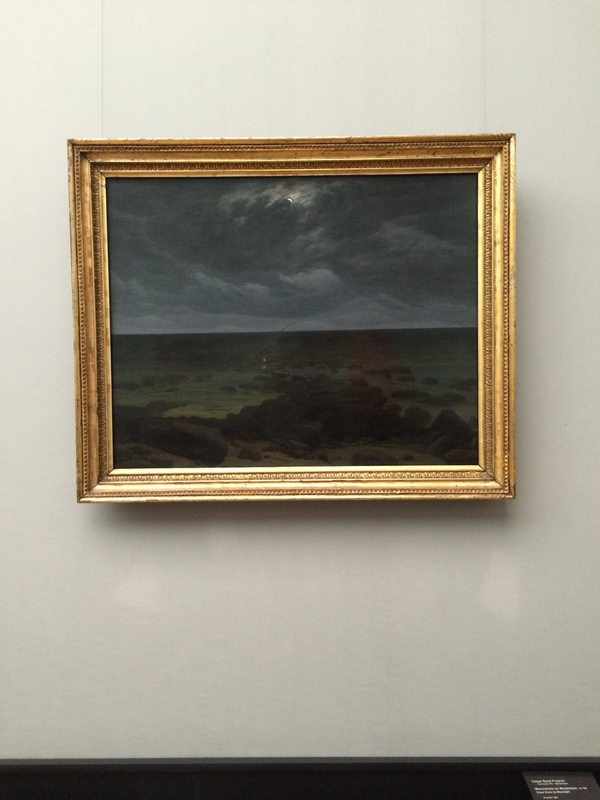 I bought my museum ticket and went straight to the Caspar David Friedrich room to see Monk by the Sea. I scanned the room and didn’t see it. I thought ‘Wow, is this really your favorite painting if you can’t even recognize it?’ Then I asked one of the attendants and she said, “Oh, I’m sorry. That painting is under restoration. Come back in October!” I smiled and said thank you and went into the next room and cried a little bit. I went through the museum though, which was actually really cool, but I was devastated. Until next time, Monk by the Sea! 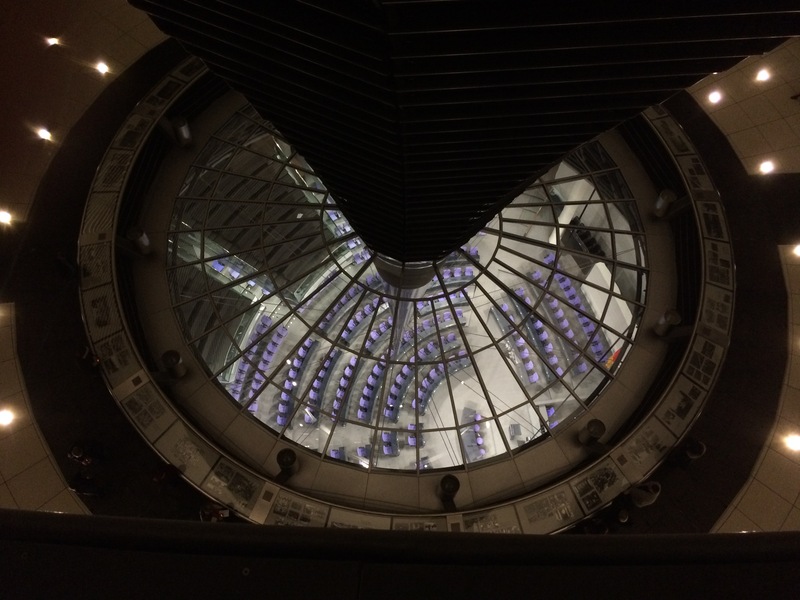 Afterward, I went to the Reichstag, where I had agreed to meet Grace, Jess, Marli, and Brianne. 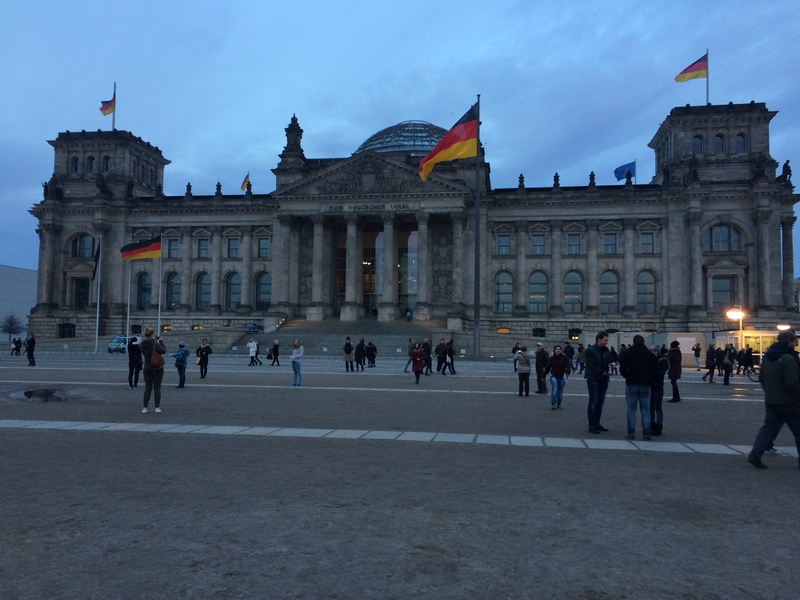 After we finally found each other, we went to the Brandenburg Gate where there was a group of teenagers dancing very inappropriately and made me feel like some old prude because I was disgusted. 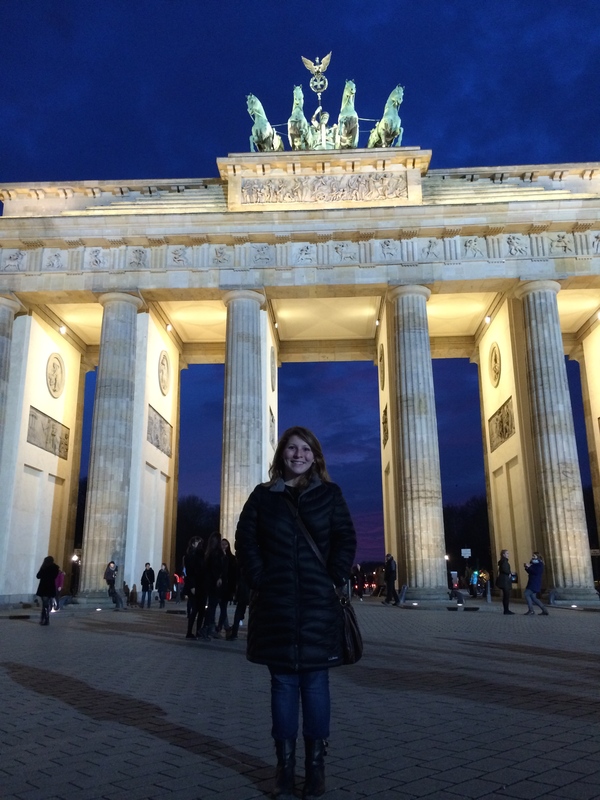 But Brandenburg Gate was magnificent. 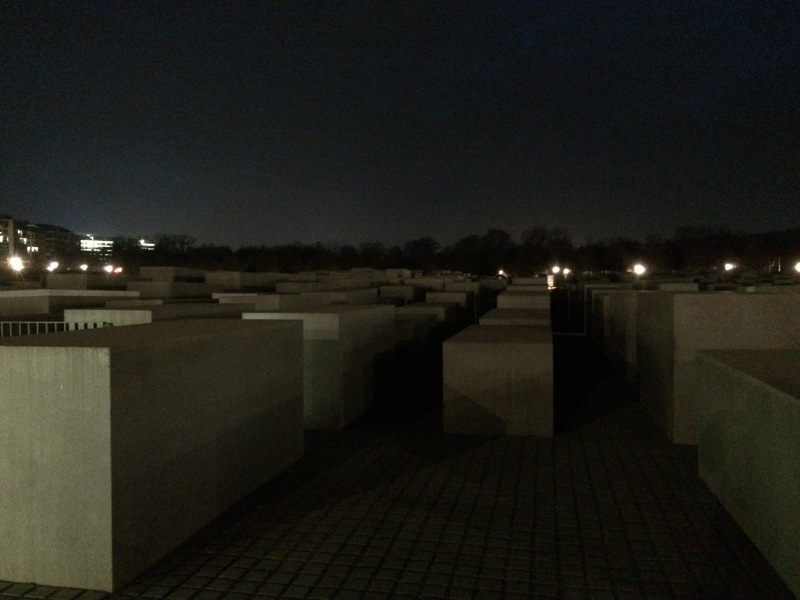 Then we went to the Holocaust Memorial, which was very eerie, especially since by this point it was dark. The whole thing made me feel very disoriented and confused, which is exactly what it is supposed to do. Unfortunately, the museum beneath the memorial was closed at this point. 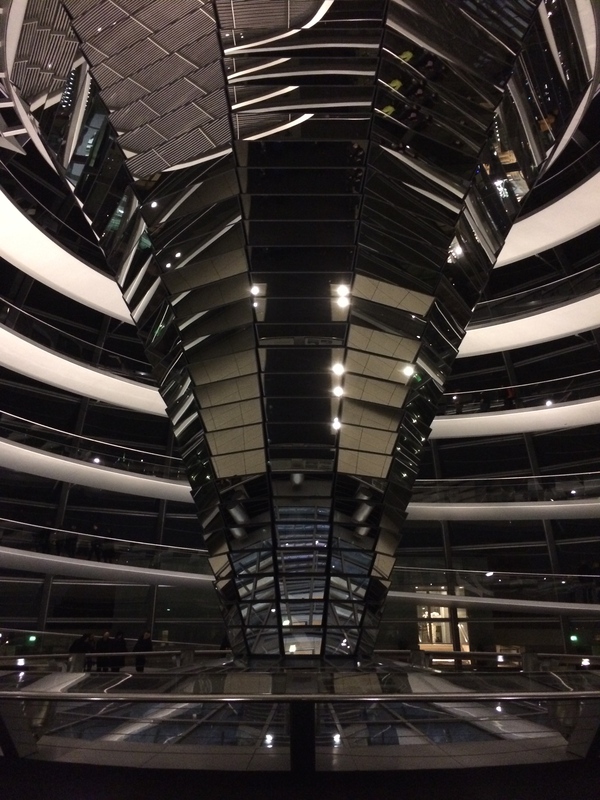 Then we headed back to the Reichstag to get a tour, since our reservation was later than when we had met up. We went up to the dome on top and got a great view of the city, but it was really dark so the pictures didn’t quite turn out. 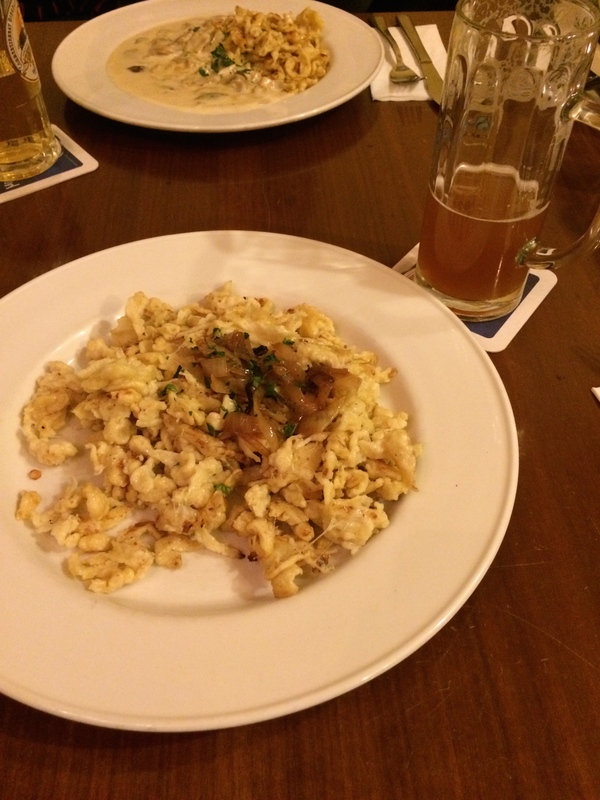 After that, we headed to dinner at a bar where I got cheese-covered noodles. Yes, I am five. Then we headed back to the hostel. It was really weird to think I was going back to Copenhagen the next day. The next morning, Jess woke up early to get ready and I thought ‘I should probably check our flight status since Norwegian has been cray lately.’ Thank God I did, because our flight had been cancelled. So we all got up in a panic to figure out how are we going to get back. After 2 hours of trying to call Norwegian, we decided to just book a bus back. This was fine but our 1 hour plane ride just turned into a 7 hour bus ride. Ugh. Brianne rebooked through Norwegian so she left for the airport soon after. 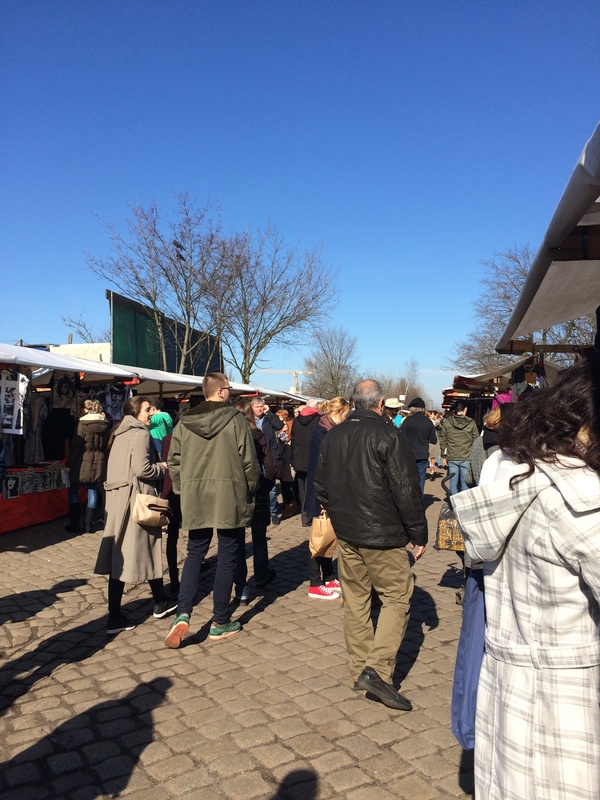 Since we were already up, the rest of us went to a flea market on the north side of Berlin, which had great stuff and fortunately/unfortunately I was out of money at this point. We wandered around for an hour or two, then Grace wanted to stay a little longer, Jess, Marli, and I went to find food for the bus ride to Copenhagen. We went back to our hostel, but we got off a stop early to look at grocery stores. Fun fact: Everything is closed on Sundays. After we gave up on shopping, we went to cross the bridge over the S-bahn to get to our hostel on the other side. Once we got to the bridge, we realized it was shut down, police tape everywhere. There were police officers preventing people from crossing as well. We asked the officer what was going on and he told us that there was an unattended backpack on the bridge that they think could be a bomb. Okay. Good. Cool. Great. So we had to walk about 6 blocks to the next bridge that crossed the S-bahn. We got to our hostel around 1:00 pm and our bus was leaving at 2:15 pm. We lingered at the hostel, and we were freaking out because Grace was still missing and we thought we would have to leave without her. We eventually called the cab, because we figured most public transportation would be messed up around us since an S-bahn station was shut down and nothing was coming through. We packed our stuff into the cab and drove a couple of blocks. When we were on the main street, I yelled out, “There’s Grace!” Then we were hanging out of the cab windows yelling at her to run to the hostel and get her backpack. Somehow she saw us and took off toward the hostel. We had the cab turn around and we picked her up. I’m not quite sure how the stars aligned, but they did, and we made it to our bus on time. And even though I didn’t see the Berlin Wall, I did pass it briefly in the cab. So basically I have to go back to Berlin. Seven hours and a ferry ride later, we finally made it back to Copenhagen. It was really interesting because when I was walking down my street, feet aching, it really felt like I was coming home.